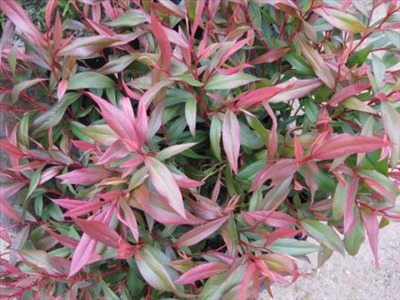 An ornamental shrub form with bright green leaves & red growing tips. White flowers appear in late spring. 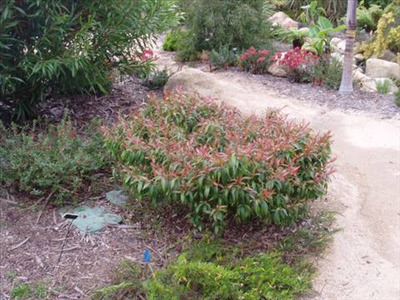 Tolerant of full sun or partial shade and well-drained alkaline soils. The book says it can reach 8' in height but my experience the shrub form we grow has only reached 3' x 6-8'. Excellent low windbreak or screen. Grows well inland and on the coast. Foliage damaged by heavy frosts. Excellent for containers. Foliage can be used for dyeing material and the bark can also be used.